On Thursday, October 8th, 2015, twenty-five WHSAD students, 11th and 12th graders, were invited to visit the NYC Department of Buildings’ facilities in Manhattan. 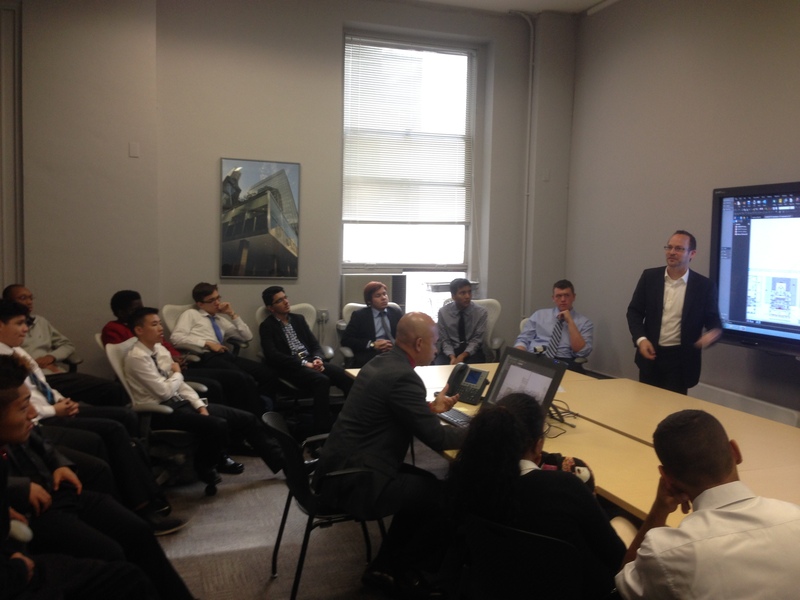 During a tour of the DOB’s Development Hub, and in a presentation by the Deputy Commissioner, Scott Pavan, students learned about the various roles the DOB plays in the ongoing development of New York City. 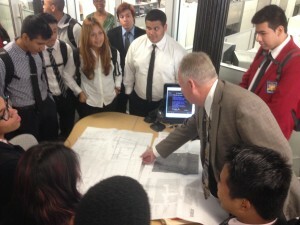 Conversations with DOB architects and engineers informed students about the different career options available, and how they might begin pursuing those opportunities while still in college. Xavier Flowers, Class of 2016, said the trip was “incredibly informative” and that the DOB staff was “incredibly respectful and engaging.” Another senior, Lenny Marin-Solis, enjoyed learning about how the architects “review [plans] to make sure they are following New York State law” when new buildings are being built, or old buildings are being demolished.